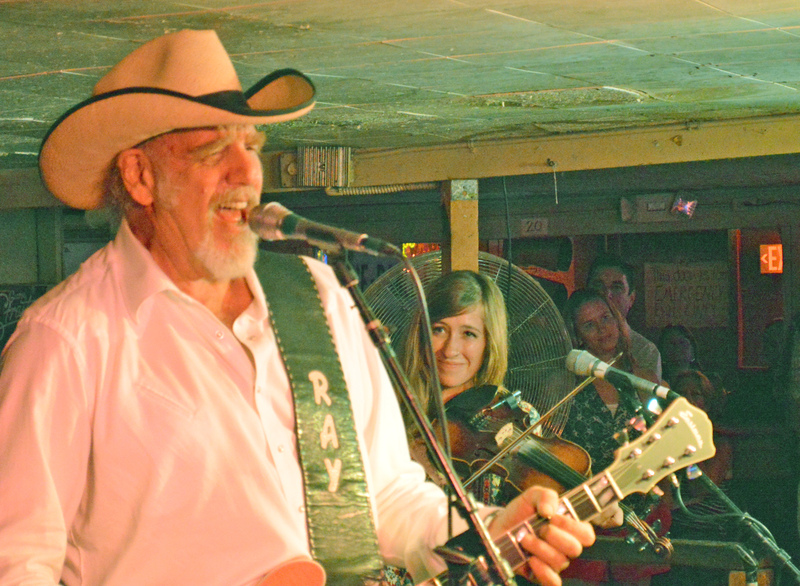 The old wooden planks on the stage of South Austin’s rustic Broken Spoke shook like they haven’t shaken in decades when Ray Benson and his Asleep at the Wheel band performed at the Broken Spoke Friday, June 27, to a nearly standing room only crowd. The band opened their show with the classics of Western Swing made famous by the legendary Bob Wills, including “Cherokee Maiden” and “Miles and Miles of Texas.” Benson’s newest fiddler, Katie Holmes, performed along with keyboardist Emily Gimble, grand-daughter of one of the original Texas Playboys, Johnny Gimble, of Driftwood. Benson and his band first came to town 1973 and it didn’t take them long to seek out the Broken Spoke and its owner, James M. White. Benson’s original Asleep at the Wheel band included California keyboardist Floyd Domino, Philadelphia pedal steel guitarist Lucky Oceans, Vermont rhythm guitarist and vocalist Leroy Preston, Virginian guitarist and vocalist Chris O’Connell, and Ohioan bass player Gene Dobkin. Benson had put together the band in Paw Paw, West Virginia with friends Oceans and Preston in 1970. Soon afterwards, O’Connel joined the band and Asleep at the Wheel moved to San Francisco. There they added Domino and earned a steady gig at Berkeley’s Longbranch Saloon. Van Morrison mentioned the band as one of his favorites in a Rolling Stone interview and that connection helped them to land a contract with United Artists and to release their first album, Comin’ Right at Ya, in 1973. The band relocated to Austin at the advice of Willie Nelson, quickly learning how to fit in. Austin in the early 1970s brought together a mixture of musical tastes. Even before becoming known as the “Live Music Capital of the World,” Austin supported a tremendous number of music venues that catered to folk, or country and western, blues or jazz music in the 1970s. 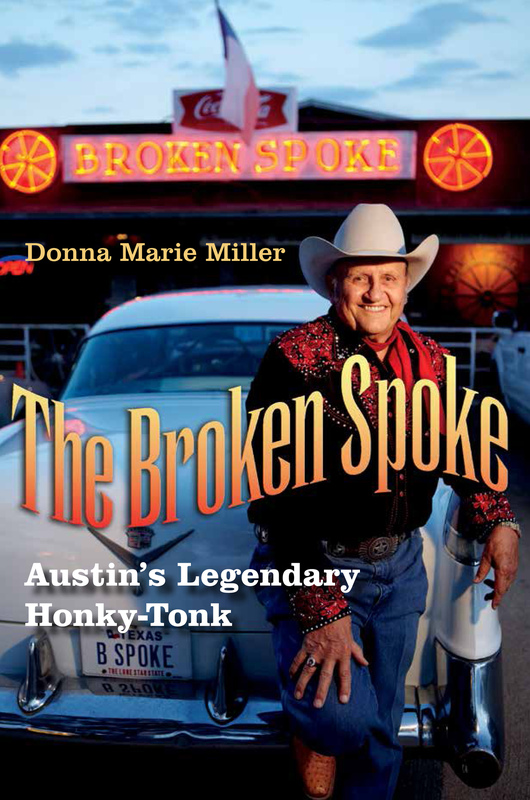 The Broken Spoke became the first to bridge the gap between two opposite genres of music. “We just loved the early 70s. In the 60s, if you had long hair and were a hippie or whatever and you went into a Texas dance hall, you got your hair cut or beat up or both. The Broken Spoke was the first place that I know of that were the two got along – cowboys and hippies. As long as you were playing music, they were like ‘we don’t care who you are.’ The music is what they cared about,” Benson said. Also during this time, things began to heat up musically for Asleep at the Wheel when they performed regularly at the old Armadillo World Headquarters; but folks could not dance there. When the Asleep at the Wheel band performed at the Broken Spoke, the dancing never stopped. White hadn’t yet begun delivering his pitches for Lone Star beer and chicken fried steak then; the nightly ritual did not begin until the 1980s. About that time, John Travolta and Debra Winger starred together in movie, Urban Cowboy, that began a movement in pop culture that transformed discos into country and western club, complete with mechanical bulls. In 1991, Dolly Parton and Gary Busey filmed portions of their movie, Wild Texas Wind, at the Broken Spoke, also featuring Benson and his Asleep at the Wheel band. “When Dolly asked me to do this movie, she asked me ‘Well where’s the place where you’re playing?’ And I told her, the Broken Spoke. She said “Well, let’s film it there.’ That was really neat for the Broken Spoke to have Dolly in there,” Benson said. “Dolly didn’t understand the joke there. We kept telling her, Dolly, do you really want to be called ‘Big T?’ and she did,” Benson said. Benson stands 6 feet 7 inches tall, so much taller than Parton, that the film crew felt challenged to shoot scenes of the two together on stage. “They used to have to stand Dolly on a box and put me in a hole to shoot the scenes,” Benson said. The Asleep at the Wheel band also removed the wooden railing that had been in place on the first level of the stage to separate performers from dancers on the dance floor. A roadie for the Asleep of the Wheel band ended up removing the railing so that Benson could stand and sing. In 1987 the band filmed their first music video at the Broken Spoke, as part of a montage about the state and starting a trend for the country music industry. Benson said when he wasn’t on tour with Asleep at the Wheel, over the years he often visited the Broken Spoke to sit in with other musicians and singers who performed at the there including, Townes Van Zandt, a legendary American singer-songwriter who died in 1978. Benson also had the chance to see one of his country greatest music idols, there in 1980. “The most poignant memory for me, is the Broken Spoke was the last place I ever saw Ernest Tubb,” he said. Benson said the Broken Spoke has been home to some of his most enduring friendships acquired during his 45-year history working in the music business. The Broken Spoke still stands after 50 years, although surrounded by newly installed condominiums and commercial real estate developed by Transwestern Company. “It’s still there in a different way. I really have to say that I know development is gonna happen, but I have to say ‘thank you for leaving the Broken Spoke where it is today.’ Because when I came to town, the Broken Spoke was the end of town. There were fields around the Broken Spoke. There were no parking problems. Of course, the town grew,” Benson said. White, Benson and Asleep at the Wheel, as well as Alvin Crow, and the University of Texas at Austin special events director Pebbles Wadsworth, in the 1990s brought the “Broken Spoke Series” to Bass Concert Hall. “She’s a wonderful lady and she understood significance of Texas dance hall culture,” Benson said. “James brought the (Broken Spoke’s) wheel out and everything. She (Wadsworth) wanted to bring a little of the Broken Spoke to Bass. It was a really nice gesture,” Benson said. Austinites who wouldn’t normally ever visit the Broken Spoke had the chance to experience the world-renown dance hall up close and personal. “The Broken Spoke is the first place that people want to go when they come to Austin,” Benson said. “You know, when they come to Austin to get a real Texas experience. They come from all over the world,” Benson said. The Broken Spoke has an old Americana feel; it houses music history. The memorabilia and pictures on the walls tell the stories of years of performances, dancers and visitors. “You have to understand that so much of that is because James and Annetta love with they did and they weren’t going to change with the times,” Benson said. The décor hasn’t changed much at all. There’s a whole above the stage for the neck of a standup base that someone once created. Vintage beer signs hang everywhere. Over the years, in between making 20 albums, receiving nine Grammy awards and touring all over the world, the Benson and Asleep at the Wheel still manages to come home by special request to perform a show, or play for birthdays and wedding receptions held at the Broken Spoke.